Trade is boring. We hear about G7 meetings discussing trade, Trump dumping trade agreements and glaze over. Maybe we should pay more attention. When Hawke and Keating came to power in Australia (1983) they completely revised our trading arrangements. What they did, and the reasons they did it are lost in the decades since. It was generally seen as a good thing, but not many can describe why. In a nutshell, one of the key things the government did was to reduce or remove import tariffs. To focus on one industry, let’s look at the auto industry. In the 60’s over half the cars sold in Australia were made in Australia. GM (Holden), Ford, Chrysler and later Mitsubishi manufactured in Australia. The overseas competition was limited not through the cost of landing a car in Australia. It was the import tariffs that were applied when it arrived. They were just not competitive. So that is a good thing for Australian jobs right? Certainly is, but a bad thing for people buying a car. 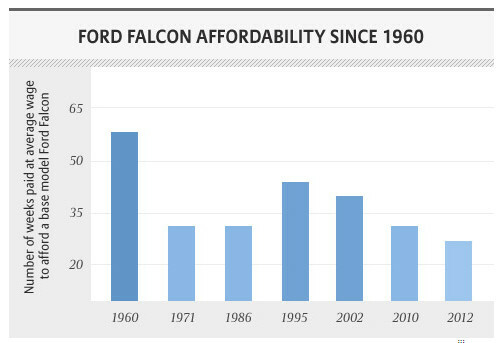 In 1960 it took 60 weeks average wages to buy a Ford Falcon. By 2012 that figure had almost halved to 32 weeks average wages. But in the long term, a program of reducing tariffs on imported cars closed down the auto industry. We could not make cars competitively in Australia and compete with Japan, Korea, Thailand or even Europe. Changes to trading conditions can reduce the price of goods, but also impact the number of jobs. On a broader issue, should Australia be making cars at all? We might have the technology, but do we have the cheap labour and materials? Do we have the scale to make it economical? Can we export to countries and compete with products made in some of the developing countries? Can we produce something that is a unique offering to the auto public? Tesla is a good example of a car that is almost unique. It is by far the most stylish and well promoted electric car but even they struggle. They are burning through mountains of cash. At present, the amount is US$7,430 per minute. They are billions of dollars in debt. It is almost inconceivable that an Australian company is going to play in that ballpark. The establishment cost of a motor vehicle manufacturer is up there with the Australian GDP. In the 40’s, 50’s and even 60’s Australia could compete in the auto industry, but only with the government protecting the industry, and consumers prepared to pay way more than they should for a car. After that golden period, the consumers won and the workers lost. Think for a moment about how more global we have become since the 1960’s. Goods travel all around the world wherever there is a market at the price. 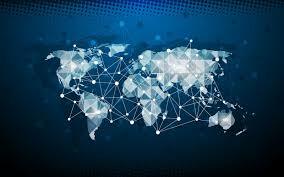 With the Internet, we can buy from anywhere in the world and compare prices. I drive a 60-year-old British sports car, and regularly buy parts out of the US. Prices are cheaper than for most modern cars, and delivery is about a week. That was inconceivable when the car was built. Now, look at the other side of the coin. Export. What we are good at in Australia is knowledge-based industry. Cheap labour does not translate into cheap knowledge. Because Australia has higher wages, we can attract people who can add to the knowledge pool and create new products and services. All this in a world competitive way. There are a couple of examples in the medical area such as Resmed, Sonic Healthcare and CSL. Each has developed expertise in a particular area and taken it to the world. Although they may have highly sophisticated products and services, they still have to be price competitive. Without trade agreements, they could be hit with import duties that would stop them from making any impact on the market. In a simplistic sense, trade agreements are about lessening the import tariffs on products in each country. The US reduces import tariffs on medical equipment. In return, Australia reduces import tariffs on cars. Leave the tariffs in place and we cannot afford as many American cars, and they cannot afford as much medical equipment. Another factor at play is scale. The more a factory can produce, the lower the cost. If Resmed only made sleep assistance devices for Australia, the cost would be much higher. Allowing them to export to other markets increases volume and reduces costs. The products are cheaper for Australians to buy. In addition, more can be spent on R&D to improve the products and guarantee a future for the company. In summary, trade agreements reduce barriers to entry for other countries. They may reduce jobs in one industry, but should increase jobs in another. This is painful for those working in particular industries but beneficial for those working in another area. 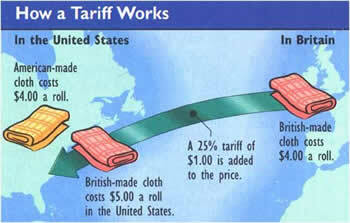 Trade agreements also reduce the prices for consumers. For a start, consumers do not have to pay for the import tariffs. They are also able to access cheaper products from all around the world, often of the same quality as local products. As a byproduct of this movement of goods, jobs in the import/export area increase. If all this sounds too good to be true it is. There are two main problems. Firstly the vested interests. In Europe for example, many of the farm products are protected by tariffs. against foreign competition. The farmers are a strong lobby and no government is going to tell them that they should sell for less, or close down. In a way, it makes sense. The social disruption is hardly an acceptable price to pay for cheaper prices. A government is elected first and foremost, to look after the people of the country. Closing down traditional industries and up-ending large parts of the society hardly fits the bill. Secondly, some industries are critical to the nation. We are not likely to outsource our navy to another country just because they can do it more cheaply. There are good arguments for a country to retain control of infrastructure and critical services. So completely duty-free trade is not likely to ever happen. Aside from the reasons above, there will be a myriad of other reasons such as health. Duty on tobacco and alcohol for example. Local taxes such as the GST. Intellectual property rights, political restrictions and many other reasons. Now we come to Trump. He wants to make America great again. When the “again” referred to we are unsure. Was it as great as America was in the 1930’s? Who knows. His approach is to put tariffs on imported steel and aluminium amongst other things. The reasoning is that it will make American steel and aluminium more competitive within America. If American steel and aluminium sell more in the US, there will be more jobs. The fallacy is that countries that export steel to America will retaliate. They will make something America exports to them more expensive by imposing a retaliatory tariff on that product. It creates jobs in the steel industry but takes away jobs in other industries that find themselves exporting less. At best this will be a zero total change to employment, but more likely an overall drop in employment in the US. Step back a pace and look at what has been happening over the decades. Around the world, tariffs have been reducing for decades. This has caused a change in industry in each country. The production of each country has become focused on particular industries, and smaller industries have dried up. Whereas many countries used to produce cars, it is now a handful that does so. Australia is one of the major coal producers. We export to many countries which a century ago relied on many local small producers for their coal. Rather than protect a small local industry, tariffs have been reduced around the world, and prices have dropped. Trump wants to reverse the process for America. I doubt he understands that he is creating a monster. As countries increase tariffs on American goods, we are reversing a long-term trend of falling tariffs around the world. The changes will ripple across the nations and set back the goal of limited tariffs decades. On the price side, increasing the cost of imports and making expensive American products the only ones readily available will hit consumers. They will pay more. The economy of scale issue will also suffer. If American companies have to pay more for raw materials – Harley Davidson has been mentioned – their prices go up, and they become less competitive. If they try to export and find a new tariff on motorcycles in Europe for example, they sell less. Jobs are lost at Harley. So trade matters in a globally connected world. Brick by brick, the world has been removing barriers to trade for decades. Trump wants to upend this for a short-term gain. Many in the US believe that short-term benefit is just not there. His reasoning is simplistic and, according to most economists, flawed. Of course, articles like this are fake news and only HE speaks the truth. Trump was a destructive cyclone at the G7. 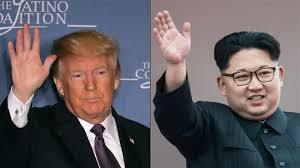 As he moves on to the “Hair Stylist’s Convention” in Singapore what hope is there for America to ever become great?